It is crucial to have the proper tools, which are going to make our life a lot easier online. Especially when it comes to mobile devices, such as Android smartphones and iPhones, there are a lot of hazards that need to be taken into consideration. The various applications are not always harmless and instead there are many people who wish to take advantage of the privileges handed over to the apps, compromising your phone. However, there are two sides of every coin. This means that not everything is risky in terms of online security, or we simply can say, security isn’t that much hard if we know what we need to embrace and what should be avoided. Even if the dangers are lurking in the dark and even if mobile devices have become prime targets for hackers who want to penetrate online systems, there are solutions for you to put into effect. If you are truly interested in sleeping well at night and not having any worry whatsoever, you ought to consider the use of a keylogger. The keylogger is a type of software that aims to offer thorough surveillance options to you, as far as your own phone is concerned. For example, you can track down all the keystrokes that you have used at a time and thus get valuable pieces of information that you would otherwise ignore. If you are wondering why you would ever need a keylogger, you should definitely reconsider. It is true that sometimes we lend our smartphone to our best friend, our better half or even to our children. Well, this can have great risks associated with our decision to be generous. There are apps that have just been installed without our knowledge or others that have been opened without our consent. In avoidance of losing control, the keylogger is a must-have! Imagine now that your employees make use of corporate mobile devices, without you knowing what they use them for. Well, this is certainly an unpleasant feeling to say the least! With the use of the keylogger, you would be able to keep everything in pace and make sure that your employees get the message of having to be more careful and considerate while using their devices specified for work. Or in random cases, someone might want to spy on their husband or wife – or even on their girl friend or boy friend. Basically, to benefit from keyloggers you just need to have access to the device of which you want to log keystrokes or spy in another way. For all these reasons and for many more, it is essential that you come up with the best keyloggers in the market and get to choose prudently as to the top solution for your mobile device. Below, we are going to highlight the top keylogger applications that can be used for Android devices to this date. Let’s have a look at these wonderful options, for you to have your pick from, shall we? Prior to hitting it off with our list of the top android keylogger apps for you to select from, it is imperative that we point out which the best features actually are for such an app to have. First of all, it should be rather easy to install and use. Otherwise, there is no point in buying and installing something that baffles you and that does not allow you to fully benefit from its quality. Apart from that, it is really cool to enable you to use the GPS locator and find where your mobile device is at a time. Tracking down the call history and the messages (either sent or received) can also be really helpful to you. Of course, it needs to be rather affordable and (last but not least) it ought to offer you some emergency options. So, with these in mind, we are ready to start looking through the nominees for best keylogger for android based devices! We start with the analysis of mSpy keylogger, since this is a really helpful application that can cover the needs of both individuals and businesses. Its cost is not exceptionally high, as you can get an annual subscription and minimize the fee at $8.33 per month ($99.99 on a yearly basis). It allows you to monitor the keystrokes on your Android device and it enables you to locate your phone, with the contribution of the GPS locator. It also notifies you, when the SIM card has changed. This can be a really cool addition to your phone for multiple reasons. This is another great alternative, in order to ensure that you fully monitor your desired Android device at all times. Not only does it tracks the phone in an instant with the GPS, but it also allows you to monitor the keystrokes including SMS, phone calls and everything you do in social media accounts. However, there is a basic and a premium account that you have to choose from and (as you can imagine) the full package is far more expensive than the basic one. You can get basic advantages at the price of $19.99 per month. The premium protection and spying features come at $39.99. It is truly important to note that with TopSpy even the deleted history can be made accessible to you. 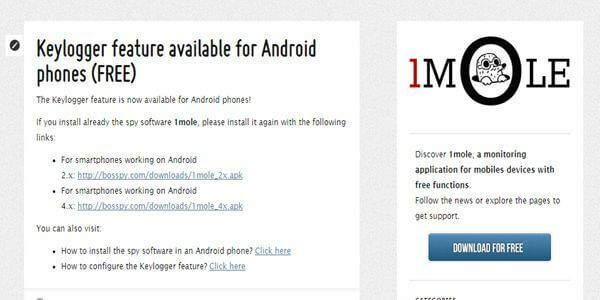 Moving forward with the top Android keystroke logger, we find Spy Software 1mole. This is a simple and yet effective tool, which can offer you a plethora of advantages. You should know that this is a free android keylogger option, which means that you can download it and put it to the test without any regrets. Nevertheless, it is not up to date with the most advanced versions of Android and therefore it can be a bit less reliable. 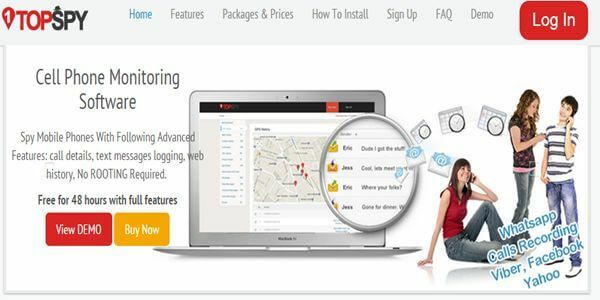 Still, it is a great tool that offers GPS tracking and monitoring of keystrokes. If you wish to log keystrokes for free on Android, this is the tool for you. Highlighted Cons : The major downside is the fact that it is not up to date with Android versions. This is a keylogger app that has got a rather different approach, when it comes to tracking android devices. Its main purpose and what has triggered its naming has been the protection of children. 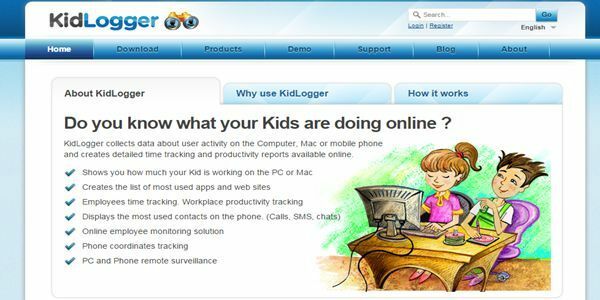 Of course, all the features can also be used for adults and their control; still, the driving force of KidLogger has been to safeguard the activities of kids online. You can use the same tool on Windows and Mac, while it is free to install and benefit from. Apparently, there is a Pro version with many more features, but it is still a truly valuable addition to your Android phone. 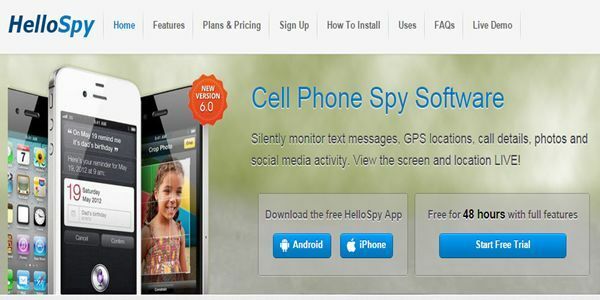 You certainly have heard about Hello Spy, as it is regarded as one of the most popular solutions in terms of Android monitoring. You can do it all with this tool, including monitoring your call history and checking through the photos that have been captured. There is also the option of backing up the information that you have gathered or even looking through the browsing history of your mobile device. It offers a free trial, stretching to 10 days. You can check the premium features there and after that choose whether or not the costly subscription is well worth it. Full money refund guarantee is only valid for 5 days, so choose carefully! This is perhaps the most professional looking keylogger app available in the market. 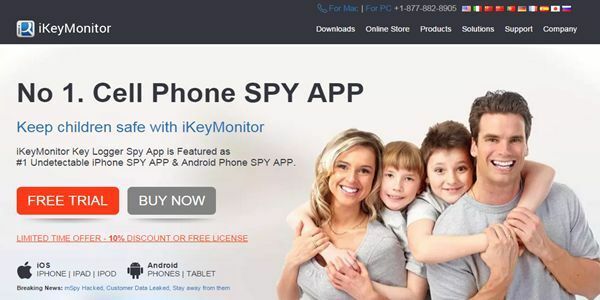 There are many benefits lying beneath the purchase of SpyEra and the keylogger Spy App for Android, with the major one being that it is completely undetectable. It will not deprive you of any battery loss, when it is not in use. This is a great benefit for Android running devices, to say the least. What is more, it offers a plethora of features that cover all of your needs for tracking and monitoring your desired device running on Android platform. 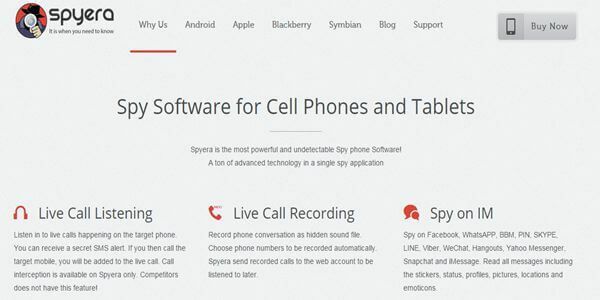 Ambient recording and spy camera, location tracking with GPS and live call recording are just few of the features that come with the purchase of SpyEra. We have come to the end of our list and this is where we find iKeyMonitor. This is another qualitative and undetectable keylogger app that allows you to spy on emails, SMS and calls of Android devices. You get chat logs that have been typed and password key logger, information on WhatsApp messages and on Facebook updates etc. This tool offers an integrated solution, in the field of Android devices’ monitoring and tracking. If you want to get iKeyMonitor, you can benefit from a limited discount and only pay $119.99 for the whole year. It is not free, of course, but it provides a solid service of quality. Which one is the Best Android Keylogger to Choose? Now that we have outlined the top options in the field of Android keylogger, it is time we contemplate on the most prudent decision for us to reach. Still, there is not a single decision that offers the top outcome to you. It is all a matter of personal preferences and personalized needs. For instance, a parent looking for thorough protection against online dangers for his child does not have the same needs and demands as a company owner seeking to safeguard the sensitive data of his business, through the proper monitoring on his employees’ mobile devices. So, it is all up to what you wish to accomplish with the use of such an app and the budget of yours. Buying something that is the most expensive tool of the bunch does not automatically help you remove all the online threats. Although quality often comes at an elevated price range, there are also exceptions to this rule that you ought to keep your mind in. Another thing that you should consider is the power of reviews. Prior to deciding as to whether or not a specific product meets your needs, dedicate some time to read through the reviews below the app stores. In there, you can come up with some truly enlightening details about the apps that you are about to purchase. You will be amazed at the information you are going to get, simply by reading through the comments that other people wish to share with you. The overall feedback and the ratings from people who have used the apps can offer substantial benefits to you and help you make the perfect decision in the end. So, take advantage of the knowledge and the hidden treasures that can be found online and do your research thoroughly. Being in charge of your Android device (or one being owned by your spouse) and getting to monitor every single activity online can change your life for the better. Devote some time and effort, in order to install and start using one of the top keylogger apps we listed above for getting the ultimate results in no time. You deserve nothing less than that! And of course, please share your experiences in regards to these tools via comment section below to help the Internet!